The entrance to Ikhwezi Lomso Early Childhood Development Centre. 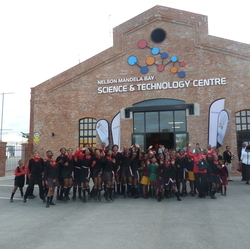 VWSA funded the exhibits in the Science and Technology Centre. 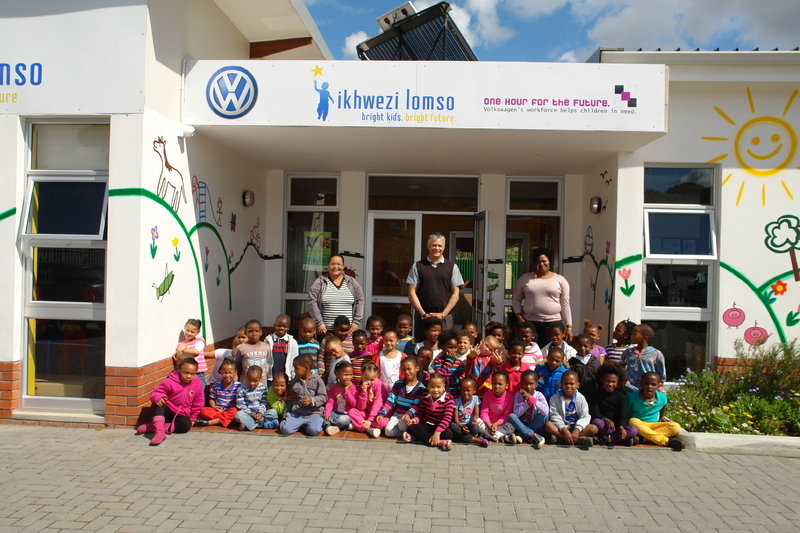 Education is important for the growth and development of children world-wide; so due to the number of disadvantaged children in South Africa, Volkswagen Community Trust has made Education a priority. We support a number of projects and initiatives throughout the country and strive to make the education centres, such as crèches and other schools, more efficient and accessible for children who are disadvantaged or in vulnerable positions. The name “Ikhwezi Lomso” derives from the Xhosa translation “morning star”. The Ikhwezi Lomso Early Childhood Centre educates 90 children in a safe environment so that they can be given the key to a brighter future. VW Community Trust built and funded the centre and it is one of our flagship projects. Funds for the centre were raised as a result of Volkswagen SA’s “ONE HOUR for the Future” project; which encourages every VWSA staff member to contribute one hour of their salary per year. This eventually accumulated to an amount that enabled us to contribute towards the building of this Early Childhood Development (ECD) Centre. The centre is situated in Kabah, Uitenhage and it is fully-equipped to give the children the resources and education they need to have a better future. Our aim is to bring them hope and inspiration by showing them how much fun education is - irrespective of your circumstances. Just as educating the young is vitally important for their development, so is educating the youth – and encouraging them to further their studies. In 2010, the Science and Technology Centre opened its doors. The centre equips young learners with the skills to become scientists, electricians and technicians to name a few. Volkswagen SA funded the exhibits in the centre to the value of R5 million. We will not be offering any bursaries until further notice.